With the maturing of global trade relationships, Open Accounts are replacing Letters of Credit as the dominant approach to enabling financial transactions between importers and exporters. We explore some of the implications. In Part One of this article, we discussed the forces driving the convergence of physical and financial supply chain; what it means for people in supply chain, finance, treasury, and banking functions; and various types of trade finance throughout the purchase-to-pay cycle, including Receivables financing, VMI financing, In-transit financing, and Pre-shipment financing. In this Part Two, we look at how the use of financial instruments is changing. International transactions between buyers and sellers usually entail more risk than domestic transactions, especially when the parties are not well known to each other. There are a range of options available to decrease the risk for one of the parties, but sometimes at the expense of increased risk for the other party, as shown in Figure 1 below. Suppliers relied on LCs to secure pre-shipment financing, get paid sooner, and most importantly to mitigate the risk of non-payment, especially with customers that were not well known to them. 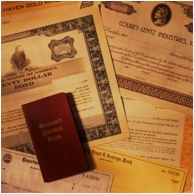 Importer’s credit-worthiness and payment track record—the bank often already has a good picture of this, since the importer is a client of the bank. Exporter’s supply chain performance track record (on-time, quality, etc. )—in particular, this is important if the bank is providing pre-export financing. With LCs, banks implicitly managed the import AP process for the importer. In effect, the importer outsourced this function to the bank, and in many cases no longer has the in-house operational capabilities required to track the events, validate the trade documents, and determine when to make a payment. Therefore, many importers want their bank to continue providing document examination and reconciliation services. In fact, some banks are broadening their capabilities to offer a wider set of services, managing the whole purchase order to payment cycle. These changes in financial models have major implications for the technology platforms used to manage the financial and physical supply chains. In Part Three of this article, we explore some of these implications for technology, network-based platforms, and the opportunities created.